This article was written by Ibtisam Ishak, former intern at Perdana University Corporate Communications. Ong Shu Chyi, a former state level badminton player and 4th year student at PU-RCSI School of Medicine, did not set out to win awards when she applied for a summer research position at the Royal College of Surgeons in Ireland. Her 2-month stint at the laboratory of Dr. Viviana Bustos studying potassium ion channels and their role in wound healing proved to be rewarding, as she won not just one, but two awards for her work. 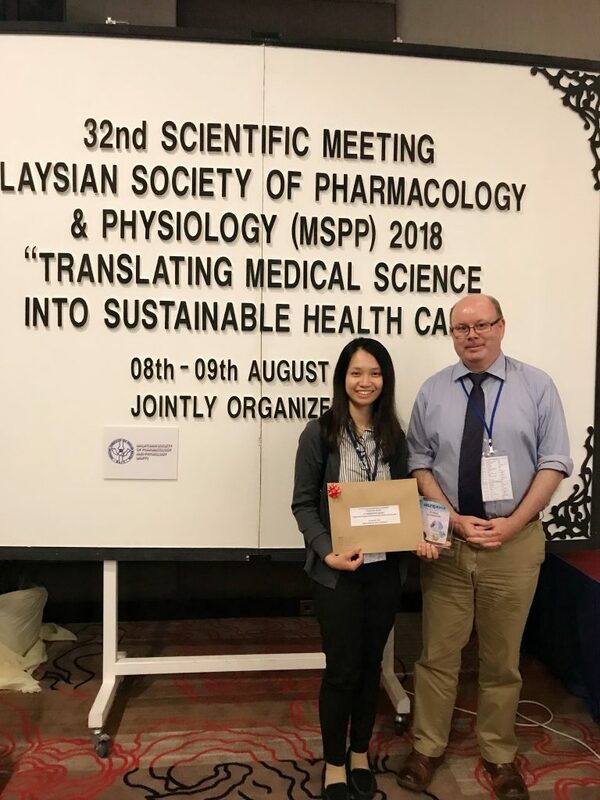 She was one of the recipients for the Rob Clarke 2017 Silver Award, conferred by The Physiological Society of United Kingdom, and the 3rd prize for her oral presentation at the 32nd Scientific Meeting of the Malaysian Society for Pharmacology and Physiology (MSPP) in Aug 2018. 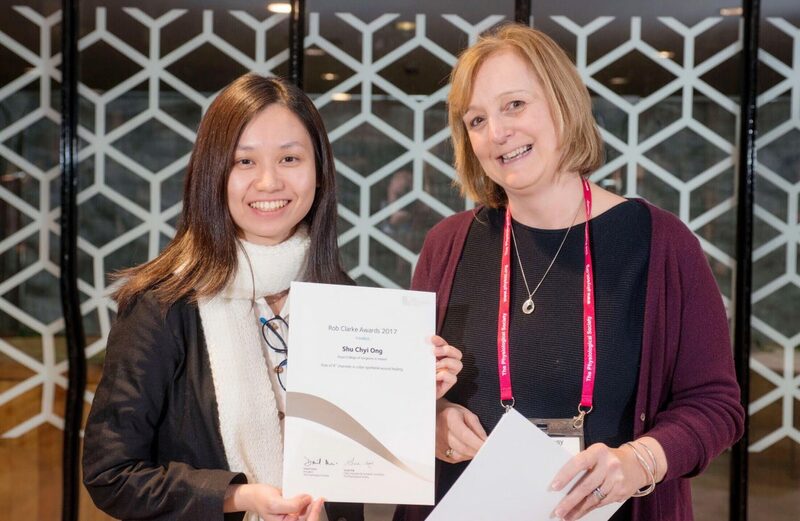 She was the only Malaysian present during the 2017 Physiological Society’s Rob Clarke Awards at the University of Leeds, and was the only undergraduate present in the Malaysian Society for Pharmacology and Physiology Meeting. In an interview with Perdana University Corporate Communications, Shu Chyi recounted her first experience in laboratory research and presenting at the conferences. Shu Chyi’s brother, Ong Jea Sheng, who graduated from the same medical programme in 2016 and is currently at Hospital Raja Perempuan Bainun, was also involved in a laboratory project during his time at PU-RCSI. She consulted Prof. Dr. Warren Thomas, Associate Professor of Physiology at PU-RCSI, who then helped her secure an opportunity to conduct a summer research project in Ireland. To help fund her travels and expenses, she also applied for a research grant from the Physiological Society of UK which is available to members, affiliates and undergraduate members of the society. In RCSI, under the supervision of Dr. Viviana Bustos, Shu Chyi studied two proteins called KCNQ1 and KCNN4, both of which are important for the wound healing and regenerative process of epithelial cells in colon. Epithelial cells are the type of cells that line the colon, and they need to be constantly replaced as they get damaged from acids in gastric juices. This process is carefully controlled, but in the event of dysregulation it can lead to over-proliferation, growth, and worst, cancer. Shu Chyi’s research shows that the two proteins worked in opposition to promote and inhibit cell growth. In the big picture, this work will facilitate our understanding of colorectal cancer, and therefore lead to improved treatments for patients. Youngest in the family, she grew up in Ipoh, and graduated from SMK Gunung Rapat (SPM) and SMJK Sam Tet (STPM). Inspired by her older brother, she followed his footsteps in pursuing a degree in medicine. Her brother graduated two years back under the same program under Perdana University and is currently a houseman in Hospital Raja Permaisuri Bainun. However, not all that glitter is gold. Shu Chyi faced numerous difficulties prior to her success. For starters, despite this being her third research project at Perdana University, the previous two involved clinical related surveys while this research is based on laboratory work, something she is not acquainted to. Despite being new in laboratory research, she persevered till the end by learning from her mistakes and believed in herself. She read on scientific journals provided by her supervisor as the title research is quite unfamiliar to her. She practiced lab skills that is crucial for the research such as pipetting and Western Blotting. None of those skills were taught to her in details in medical school. Hence, the skills she attained are simply exceptional. She described her experience with laboratory work as fascinating and challenging, as it triggers her to work harder in achieving a better research outcome.